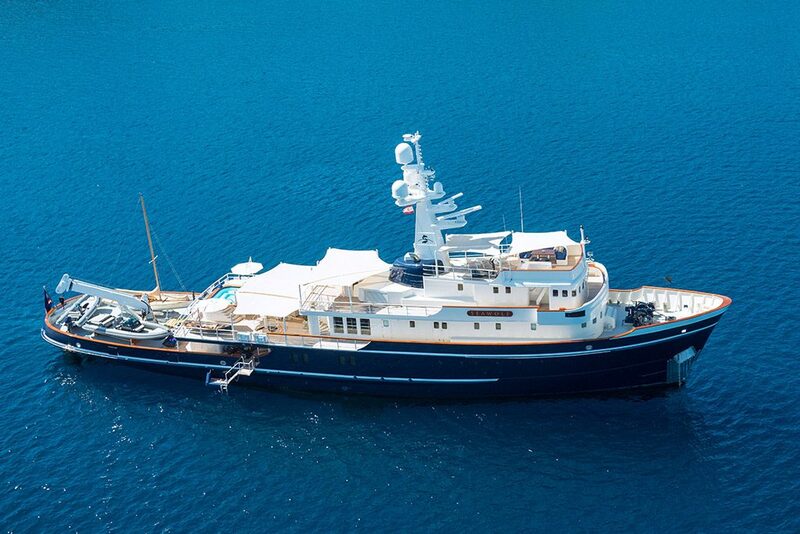 Her impressive capabilities don’t stop there. 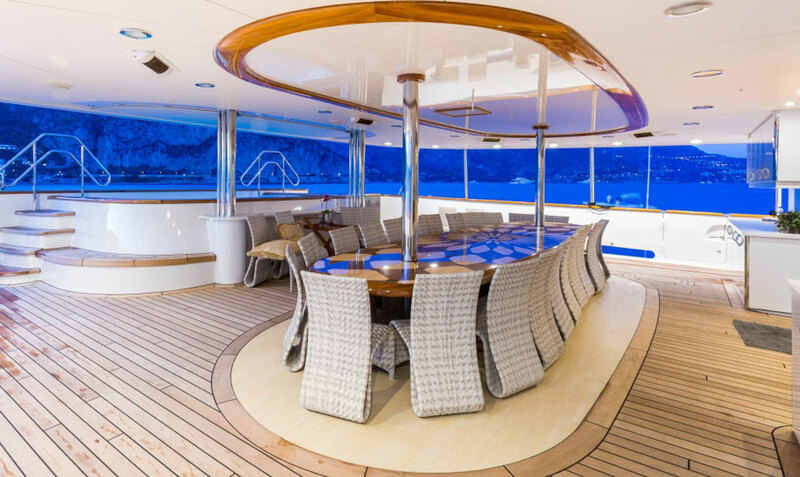 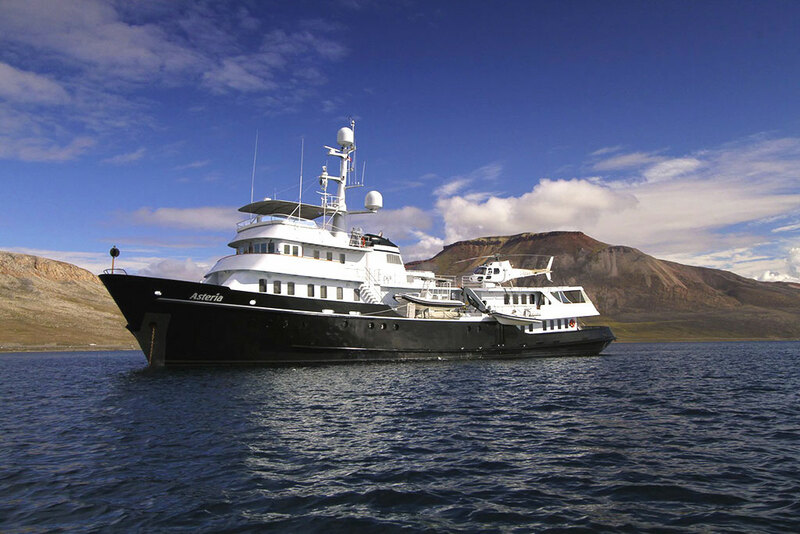 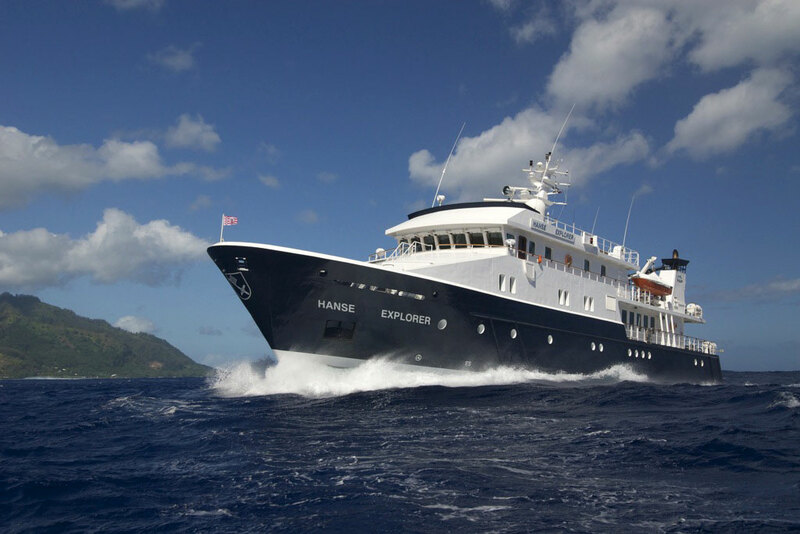 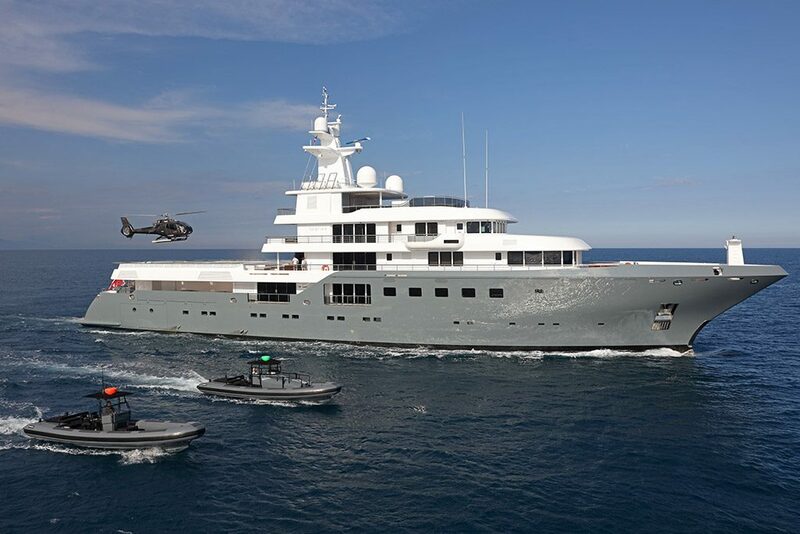 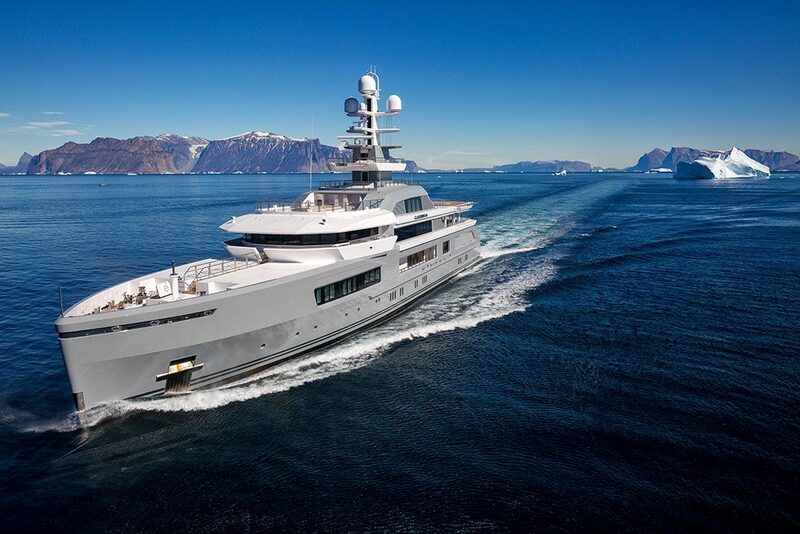 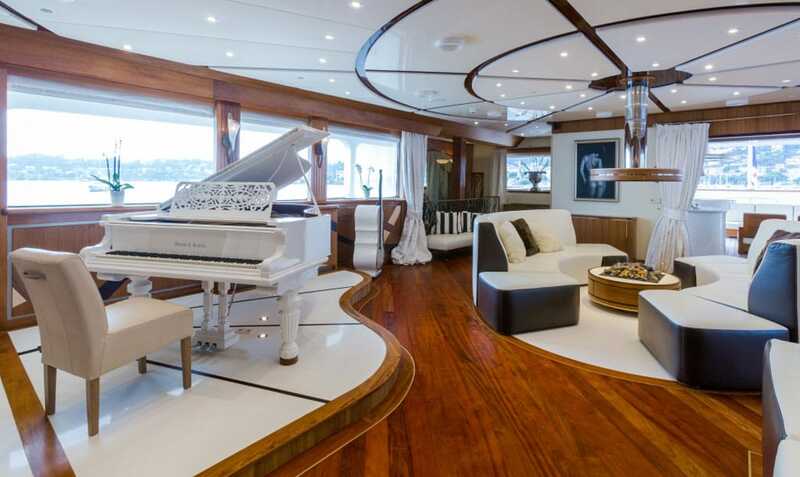 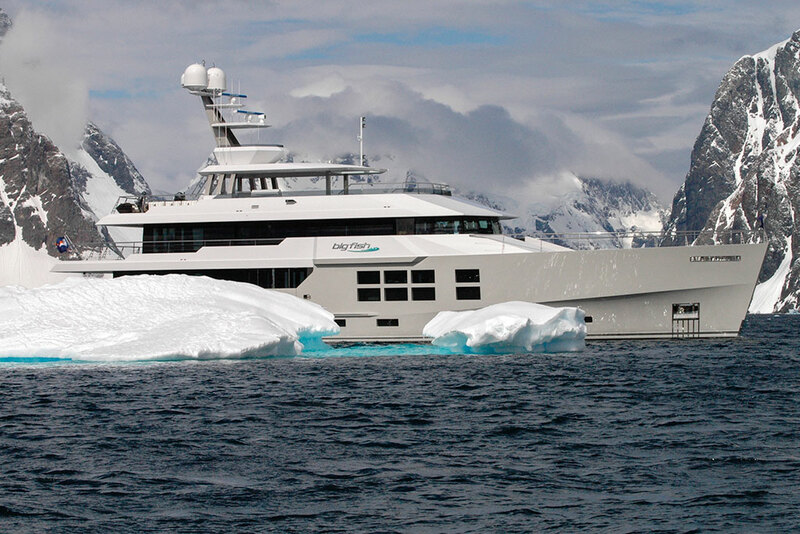 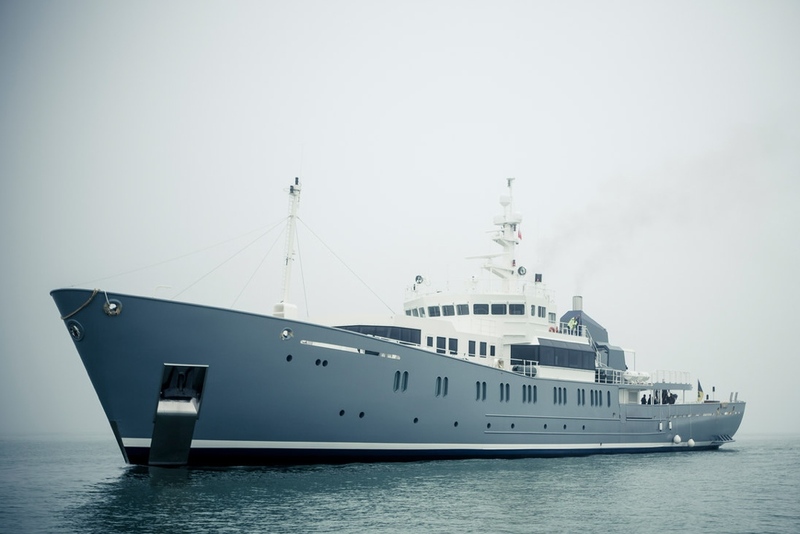 She comes with a commercially certified heli-deck that stretches the boundaries of a conventional expedition. 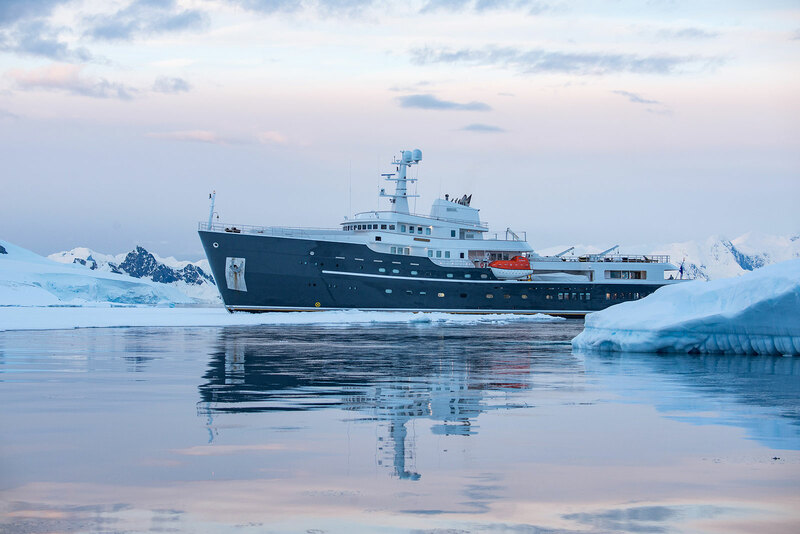 A three person-submarine, capable of diving 300 meters deep, is also onboard and allows guests to see virtually undiscovered areas of the world’s most remote regions. 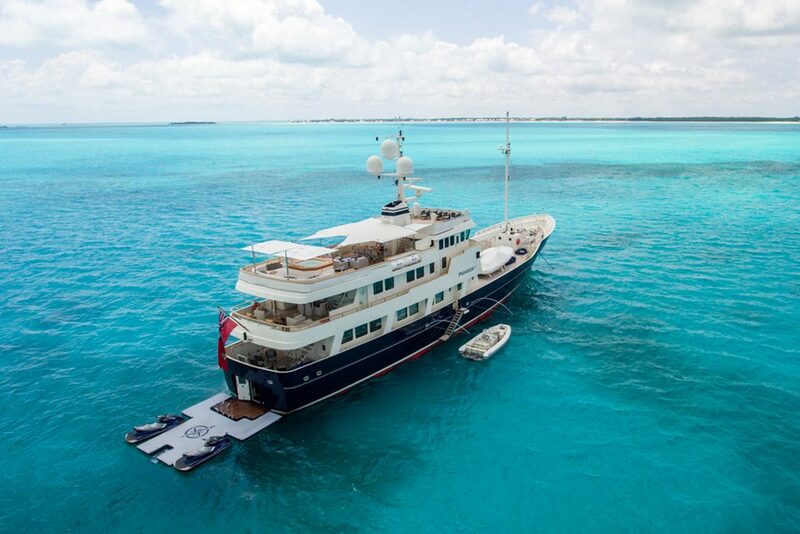 With a capacity for 26 guests, Legend is the perfect platform for extended families, alumni organizations or corporate retreats seeking the pinnacle of privilege and escape. 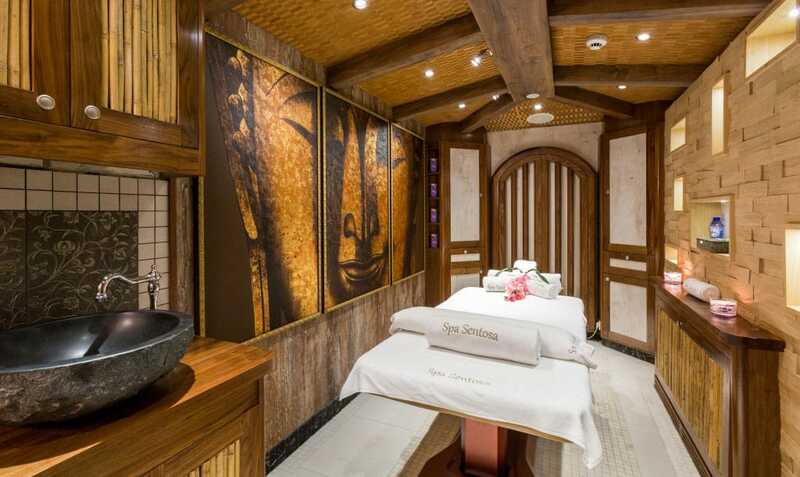 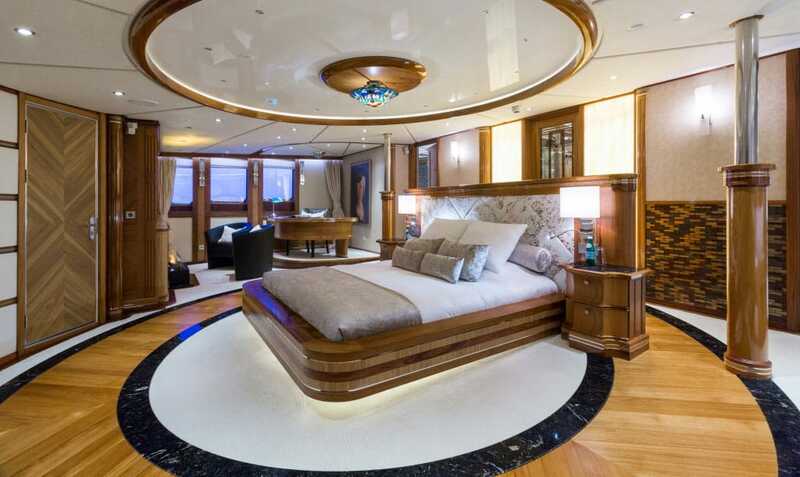 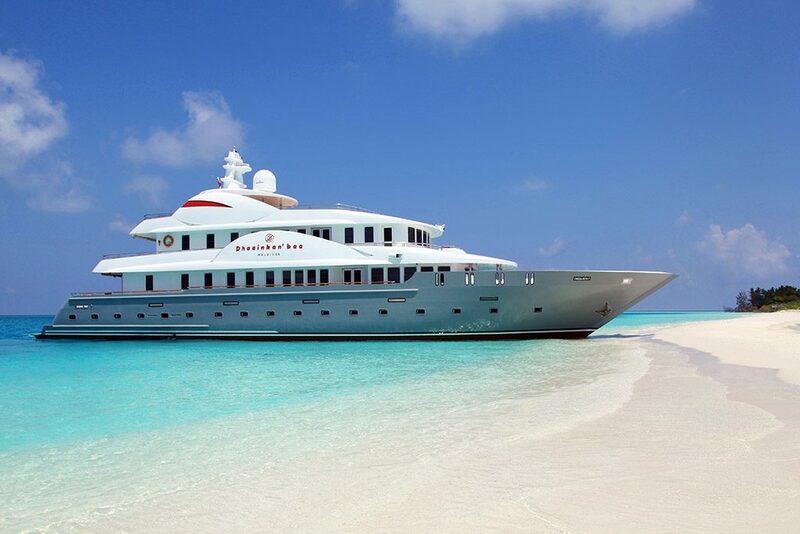 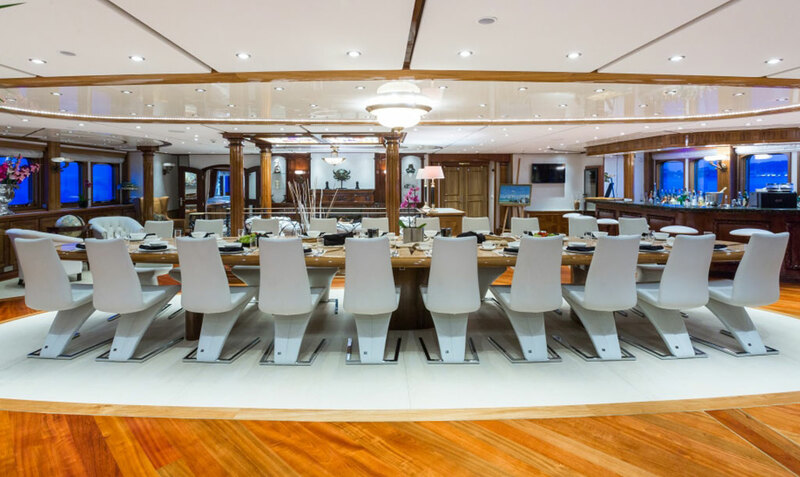 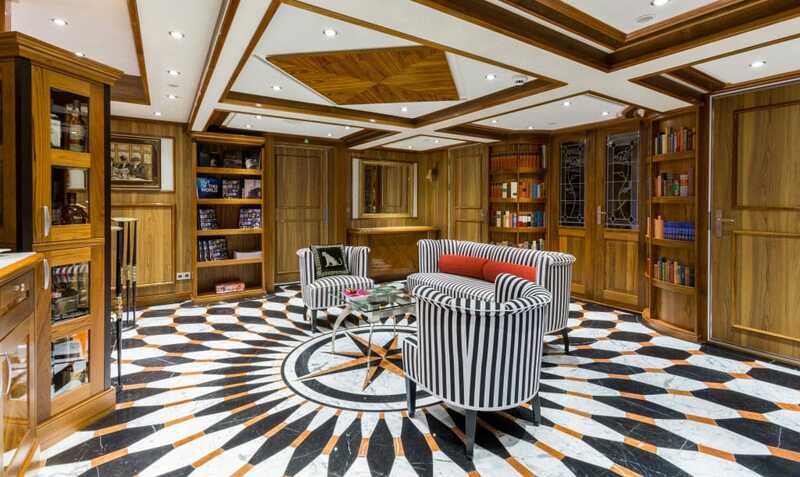 Onboard facilities include a gym, Balinese spa with sauna & Jacuzzi, beauty salon, movie theatre and entertainment system, swimming pool and a broad collection of toys ranging from paddle boards to jet-skis and snow scooters.